Feel great, inside and out. Why North Shore Hair and Wigs? We offer water & coffee for all of our lovely guests. Wig Reconditioning and Upkeep to keep you feeling great! Access to natural products, and organic solutions. Relaxing, friendly environment to help you feel your best. 28+ Years of expertise in Hair Solutions to improve confidence! Plenty of take-home products to try yourself. Kristen is a top notch stylist! I always love my color and cut, that paired with her good energy and conversation. I have been going to Kristen for a few years now for my cuts and color. She is a really great colorist, and after she does my hair I always get compliments on it. Kristen will always make you feel welcome when she does your hair, and will give you great tips and tricks! I highly recommend her for a cut and color. She has also recently gotten into the wig business, and has a great selection to choose from! 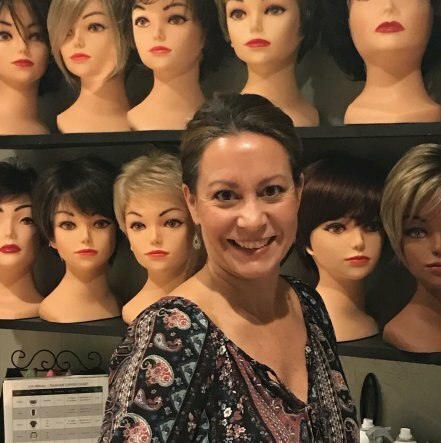 Kristin was so helpful, professional and extremely knowledgeable about hair loss. she has a nice selection of wigs and hair pieces to choose from all in a private setting. I got my appointment within the week. She is also an expert hair colorist. I would highly recommend North Shore Hair and Wigs. Kristen does the best work with hair and wigs. I’ve been a customer for several years and just had my hair done at the new location on Rt 1 in Danvers. It’s a bit smaller but very easy to get to from any direction. Perfect hair style, just the way I like it !! With a wide selection of Wigs, Toppers, Styles, Products & Care, we’re sure to have everything you need. Cuts, Colors, Waxing, and everything in between, North Shore Hair & Wigs is here to take care of your every need! Get a FREE Wig Reconditioning Coupon! OUR HAIR is such an important aspect of our look, our style, and most of all, our confidence. Don't let the loss of your hair take your confidence! Copyright © 2018 North Shore Hair and Wigs. All Rights Reserved.